Colorado has passed a law allowing sheriffs to confiscate a person’s guns, if that person posed a threat to him- or herself or others. The governor, a supporter of the bill, is expected to sign it into law. Nearly 50 of the state’s 62 elected sheriffs have opposed the bill, believing it would jeopardize deputies who attempt to seize weapons. The owner of the firearms can petition to get his or her guns back after two weeks––but the person who suggested the confiscation can also petition to prevent their return. Half of all state sheriffs actively oppose the law, and many of them have promised not to enforce it. 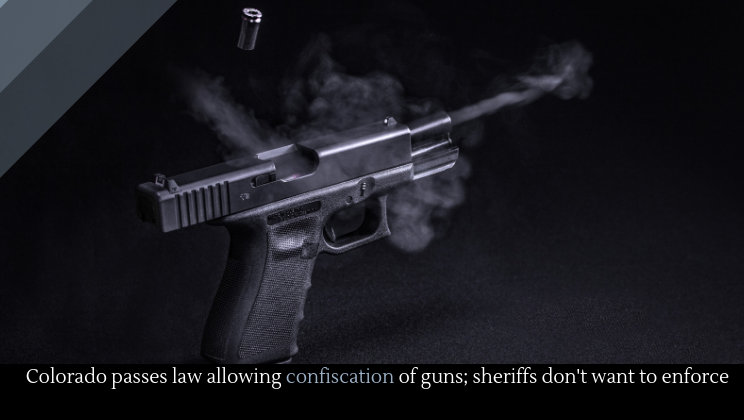 These sheriffs believe that confiscating someone’s guns violates his or her constitutional rights. As a result of this opposition, the future of the bill is uncertain. Legal challenges may be on the way. The state’s decision follows a number of recent mass shooting-related tragedies. In recent weeks, two teenage survivors of the shooting have killed themselves. Sydney Aiello, 19, took her own life after struggling with PTSD and survivor’s guilt. She also struggled to succeed in college because she was afraid to be in a classroom. A few days later, a sophomore survivor took his own life.